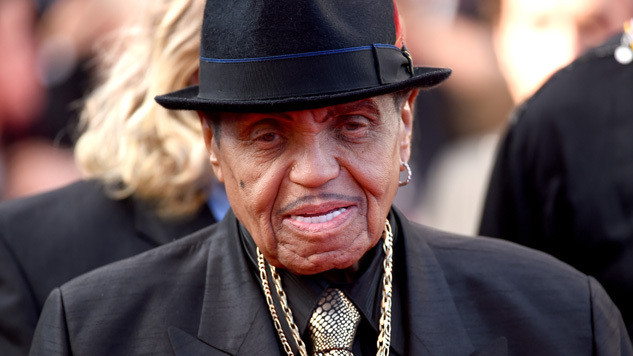 Joe Jackson, father and early manager of the Jacksons, has died at 89 after a battle with terminal pancreatic cancer, as first reported by TMZ. Jackson is survived by his wife Katherine and nine of his 11 children. His death comes just two days after the date of the 2009 death of his son, iconic pop singer Michael Jackson. Joe Jackson is best known for managing his young sons Michael, Marlon, Jackie, Tito and Jermaine as The Jackson 5. He also oversaw Janet Jackson’s 1982 debut album, Janet Jackson, which she recorded at age 16. Jackson’s career took a hit when, in the 1980s, his children began to distance themselves from him professionally and came forward with stories of his abuse. Michael Jackson came forward about his father’s physical and emotional abuse in a 1993 interview with Oprah Winfrey, though he admitted that his father’s strictness played a large part in his public success. Joe denied that his discipline was abusive, as did his wife Katherine, who both said it was a product of their generation. In October 2002, Jackson received the Rock and Roll Hall of Fame’s recognition as the Best Entertainment Manager of All Time. He has also accepted awards on behalf of his deceased son Michael, and attended the 2015 BET Awards, at which Janet Jackson received the Ultimate Icon Award. On July 27, 2015, Jackson suffered a stroke during his 87th birthday party. He was rushed to a hospital in Brazil, where he’d been celebrating, and was again hospitalized in 2017 following a car accident. As is to be expected, Twitter is awash with tributes to the fallen manager. Check out a few choice celebrity reactions below.